All bears on deck! 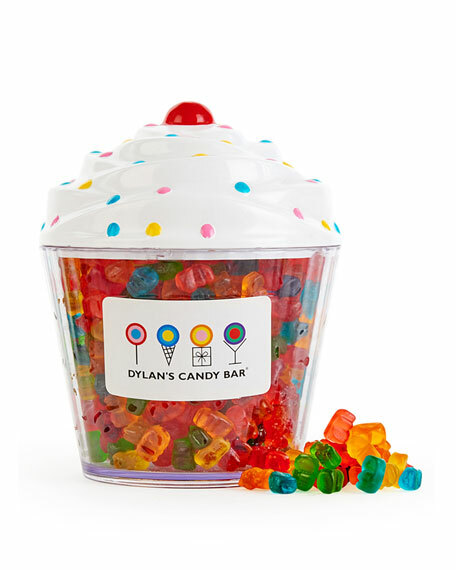 Take your dessert home in our NEW cupcake container, filled with our delicious assortment of 12 different gummy bear flavors. A gummy lovers dream! 12 different gummy bear flavors in cupcake container. 4"Dia. (widest; 3" at bottom) x 6"T.
Allergen Information: Manufactured in a facility that processes tree nuts, peanuts, milk, soy, eggs and wheat.